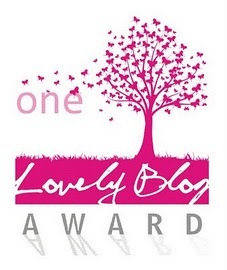 I have a lovely blog? – I used to smoke, like a box of cigarettes a day. Until around 12 years. – I am a registered spinning instructor, but I don’t think I know how to ride a bike. Last attempt many years ago didn’t go so well. – Things I love: gum sweets, Glee, running, Hello Kitty, running, Instagram, Twitter, Dr Seuss books, The New Yorker, iPad, iPhone. – When I was three I had my hernia removed. – Other careers I considered were teaching and psychology. – I love reading poetry. – If there was one talent I wish I had, it would be dancing. Like on So You Think You Can Dance (the US version). That’s it. Thanks Nik, and sorry again for bailing on nominating bloggers. Dying to know more about what could or could not, possibly be happening with bloggers on L&L! Oh I would love to dance too, and sing the Habanera from the opera Carmen. Oh I also want to know what is heppening with bloggers at Living and Loving.